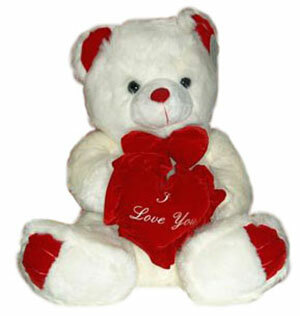 This gorgeous teddy holds your heart in his hands. Hug me, love me, take me home. Measuring 50cm in a sitting position.